When folded up to fit in a backpack and the very little weight has attracted the attention of some of the very few mountaineers and mountain tops to the slope those arriving by flying there with paragliding. Paragliding in Turkey is growing rapidly and our country to fly has convenient locations. No-fly zones around the town, almost every available can be found. Here, especially, Turkey and the world's best destinations should indicate that we have to be considered in Oludeniz. In addition, Antalya-Kas, Denizli, Isparta, Erzincan, Eskisehir, Erzurum, Izmir, Bolu, Aksehir flight suitable for some of the other şehirlerimizden. known to students except for students not accepted. Paragliding a fact known to be an expensive sport. The materials used in Turkey are not produced and the cost is quite high. Therefore, university clubs There are great advantages of education of the students financially. But at this point must act before making a choice is very sensitive. Piloting errors and it never owned the largest share of the education of the consequences of should not be forgotten. Education instructors, reliable and secure should be noted that the materials should be done. Paragliding media even be demonstrated by the fact the rules of what till the dangerous and is not dangerous as it may seem a serious training when done in conformity with seen. Now lets talk about the materials used in this sport. While sports will use this tool, paragliding, parapente (French), Paragliding (English) are given names such as. Paragliding cloth part of the canopy, wings, or the dome is called. 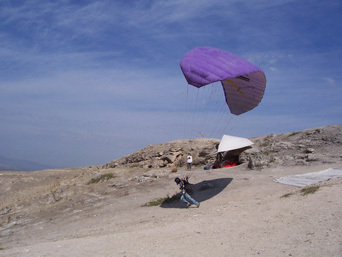 The materials used in the development of paragliding technology now has become a high-quality and reliable materials. The new canopies Dacron polyester planted and it is very difficult to tear. Even rips special hampered the growth of the tear seam. Residence is part of the harness and the harness used in the bird reserve on long flights There are parachute. 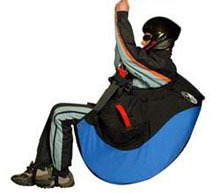 Non-use of existing canopy parachute that is a problem In the event that opens and helps secure the landing. Mentioned There are pilot harness back and side protection. The basic training you harness the so-called harness is preferred. High-altitude flights must was built to harness the pilot. Weighing the screws to 410 kg. Weighing the columns is connected to the columns is much higher. The helmet is a combination of materials, as well as other basic variometer, wind gauge,air bags, air boat, is located between the other materials used. There are two brake including paragliding, right and left, and thus are able to make a very soft landing where we want. So Many Where the wind blows like people think paragliding is not there, If you want to go where there.